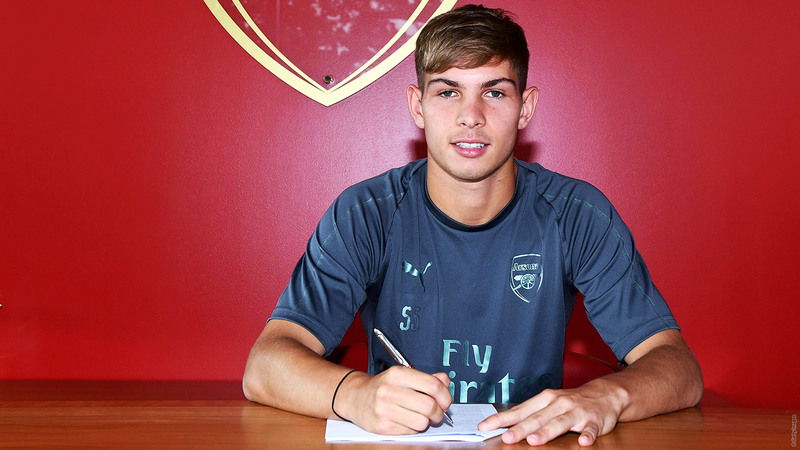 He snubbed offers from Barcelona and Spurs to stay at Arsenal and sign a scholarship, back in 2016. When I saw the part where he snubbed offers from Barcelona and Spurs to join Arsenal. I thought he’s another academy’s product. So it turns out he’s been at the club’s Hale End Academy since he was 9. That’s just plain trying to poach from us. Always a Gunner! I wonder which Championship club he will play for in two or three years time . Give him a chance and maybe he will turn out good. I like his style of play and composure compared to Wilshere when he was 16. Having followed him with the youths, I am confident that he is the next Kevin de Bruyne. You can’t tell EMR is gonna be better than KDB? He’s a future balon d’or winner!!! I am 100% sure that he is being super serious. Definitely not joking. Definitely not. So excited to see our League Cup team. It’s gonna be great. He is the next Jack wilshere. Get a proper haircut kid. We could see it again. I’m not sure we’ve got any right to complain about that.